Browse the complete list of public high schools in your neighborhood. Get school districts, information & facts about your local high school. 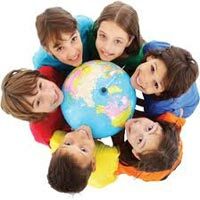 High School is the last phase of secondary education for children around the age of 15 to 18 years. Some high schools are comprised of classes for grades 9 thru 12 and others for grades 10 thru 12. In high school, students obtain much more control of their education, and may choose even their core classes. Core classes are considered, Language Arts (English), Social Studies (History), Mathematics and Science. The control given to students varies from state to state and school to school.